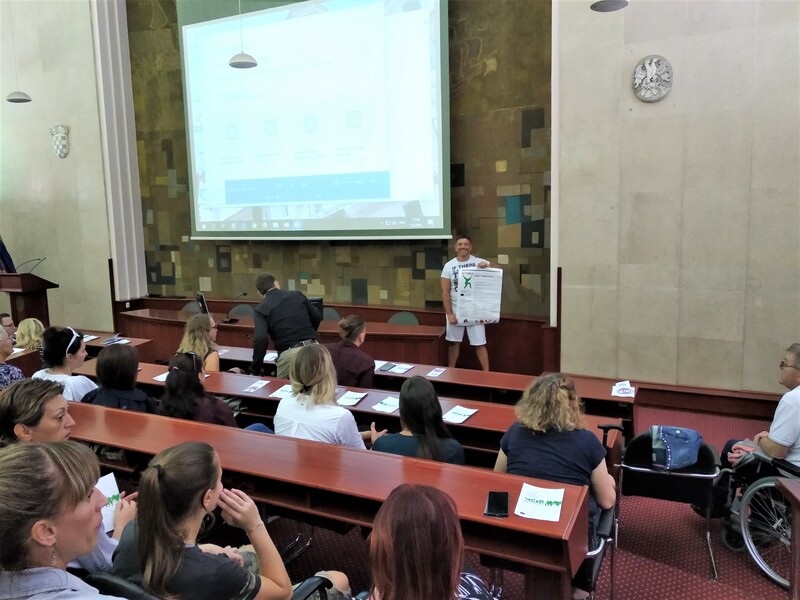 On September 7th, 2018 the RIJEKA SPORTS ASSOCIATION OF PERSONS WITH DISABILITIES has, in collaboration with the Medical high school Rijeka, participated in a Public Discussion ‘Physiotherapy and mental health’, as part of the International Day of Physiotherapy. Representing the Rijeka sports association of persons with disabilities, mag. cult.Tatjana Udović has emphasized the importance of sporting activities in maintaining mental health . Mental health – Valentino Rački, dr.med. Staying healthy through movement –Karlo Horvat, mag. physioth. Physiotherapy – an (un)discovered strength for the promotion of mental health – Alenka Vondra Butigan, bacc.terap. occup; Dorotea Šulavjak, bacc.physoth. The public Discussion ‘Physiotherapy and mental health’ is part of the project ‘Sports training for all’ – ST4ALL.